This chic maroon pouch model card is subtle floral pattern invitation with a die-cut of beautiful art deco flowers printed in gold ink on the main pouch of the card. 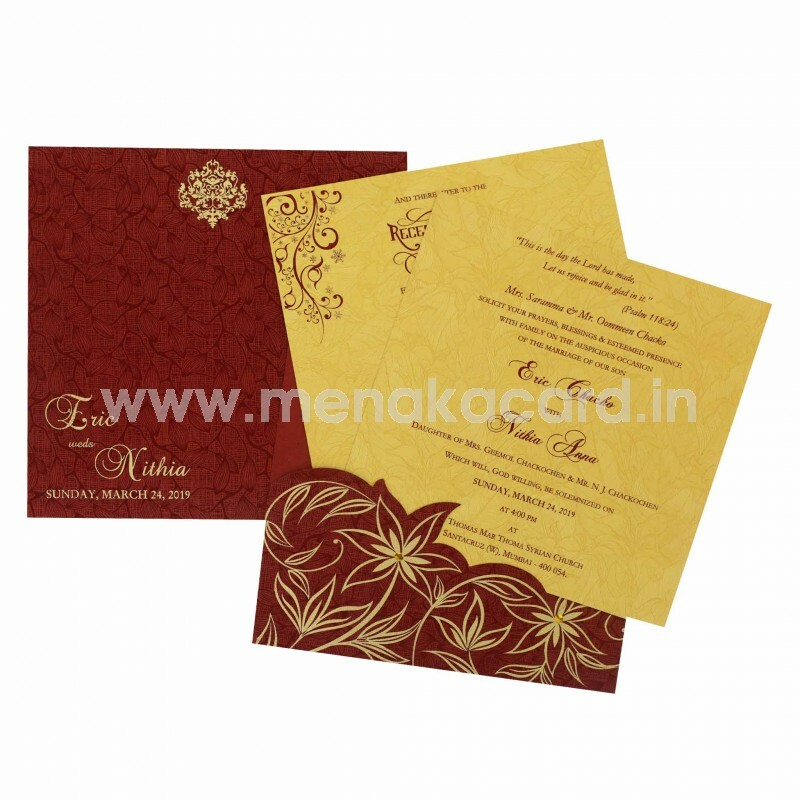 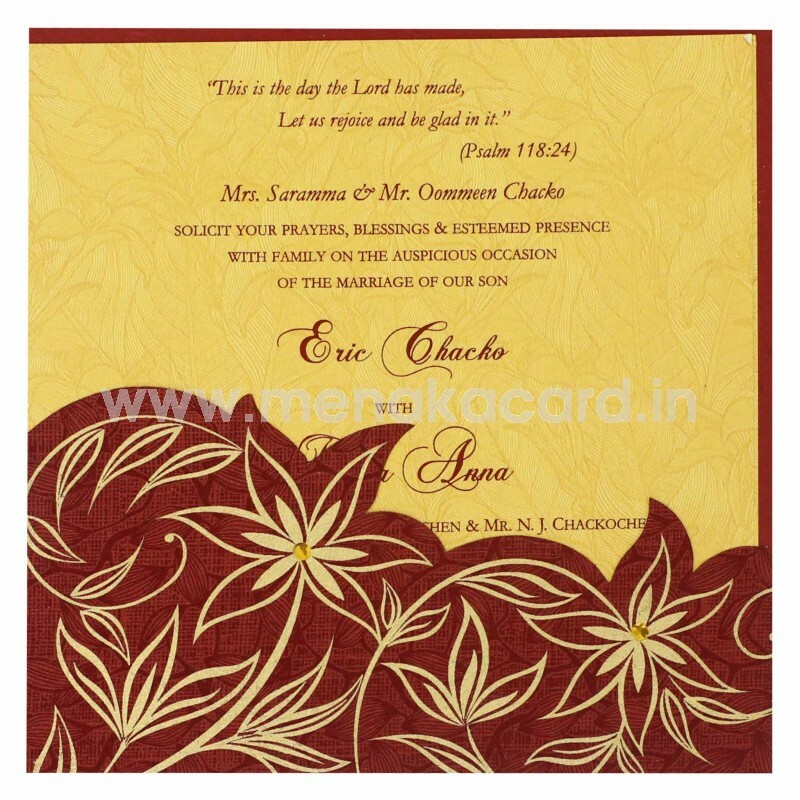 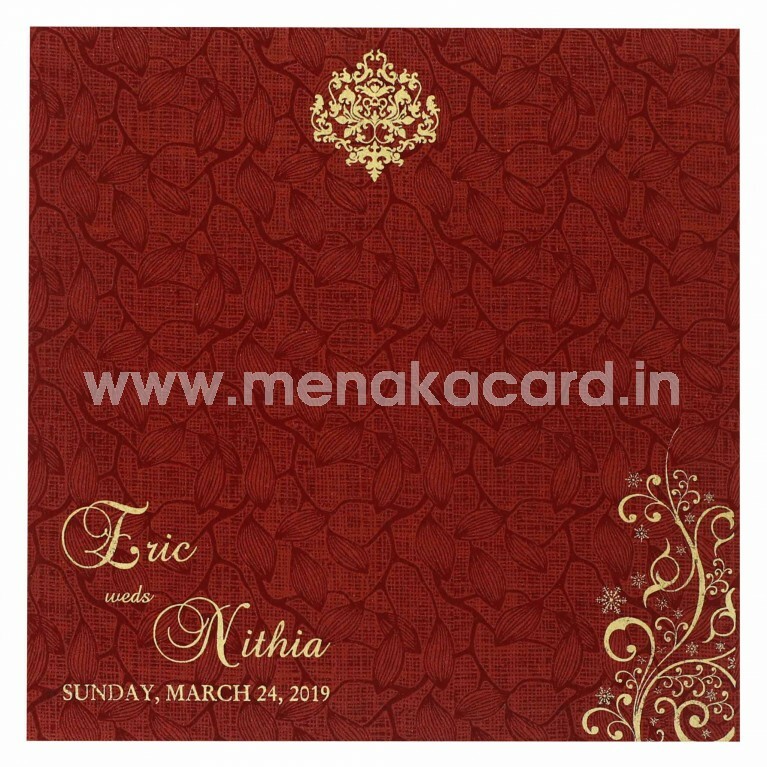 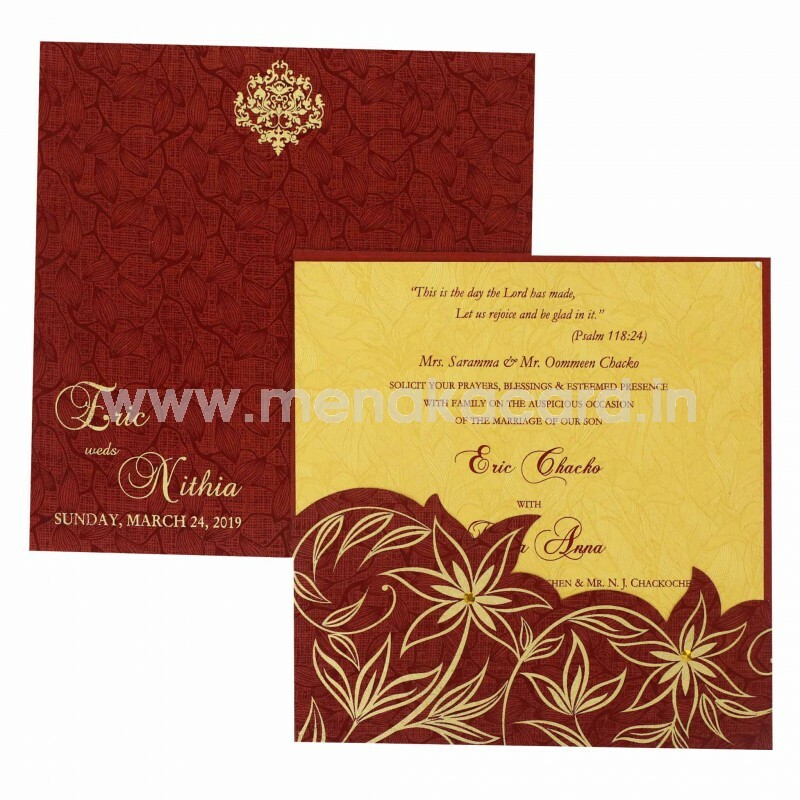 The card is made from a matt finish handmade material and contains 2 default yellowish gold inserts printed with subtle floral lancer background with the content in rich maroon ink. 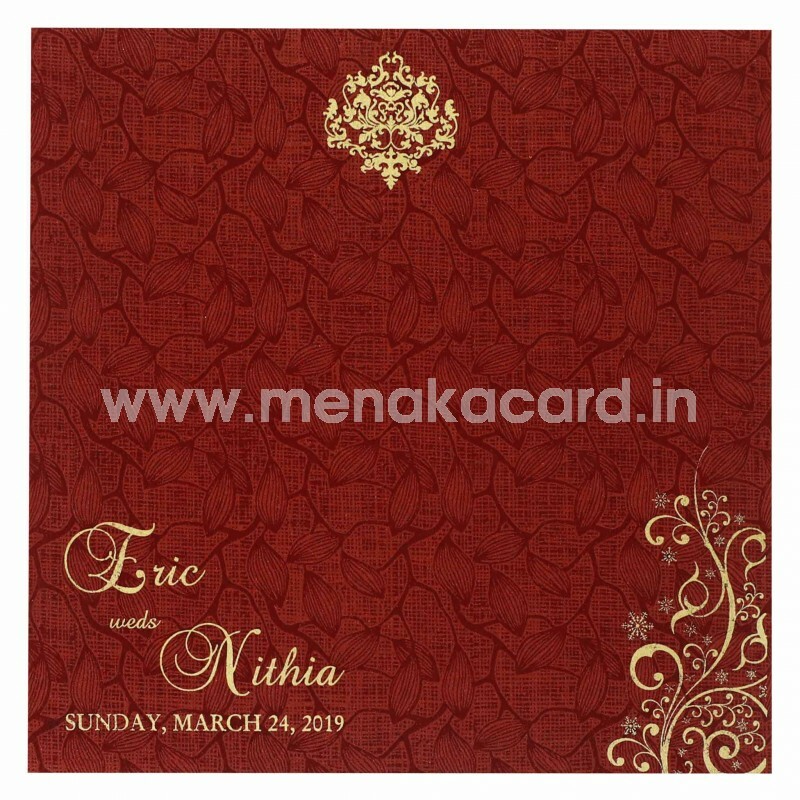 Generally used for personal invitations to friends and colleagues this can be used as simplistic invitations for receptions and engagements as well.